Instagram inevitably becomes the “gold mine” for digital marketing in 2018 having over 300 million users who are mostly the Millenials. As opposed to the popular belief, Insta is not only about sharing images of fluffy kittens or fashion goals! At the beginning it may have been solely about those things but now it has emerged as a major branding platform. To begin with, Lead Generation Campaign means generating customer interest for your product and services. This proves more than mere brand awareness creation; here you try attracting and enticing prospective clients turning them into full-fledged buyers. On Facebook people offer a lead magnet. Lead Magnet is a valuable thing offered to a customer in exchange of information. It works as an incentive making the customer want for more! In return they give their address, email and contact numbers – any kind of information which helps you to follow them in future. However, lead generation for Instagram works differently. You do not attract or provide incentives to customers to download, say your e-book, as they are not on Instagram to have a reading session. Insta users just scroll down their feed checking pictures and stories posted by people. Gated Content remains hidden behind the virtual gate. If your content is valuable then people will provide some basic contact info in exchange for accessing your Insta page. 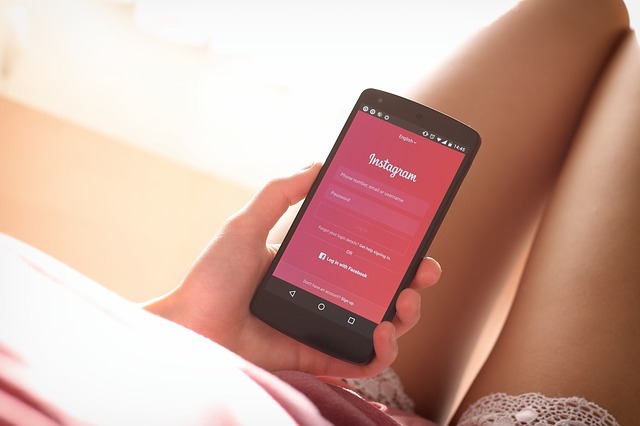 Using Instagram for lead generation promotes gated content by sharing links to the landing page where prospective customers provide information. Making the content relevant to your product peaks the interest of your buyers leading them to become loyal customers for the long-term. Social media advertising makes targeting viable audience to a new level. Facebook owns Instagram and FB’s ad leads also appear on Insta as long as it fits Instagram’s requirements. Lead ads behave a bit differently on Insta platform. Insta can “pre-populate” a lead form with full name, email, contact number and other details. For additional information the user has to type it in. Instagram advertisements appear only on phones and take 40% longer time for a customer to fill a form on the device than on desktop. Keep it simple. Users on Facebook keep on scrolling down to fill out lead forms. However on Instagram, each section of lead generation form exists on a separate screen helping users with more opportunities to click away! A new but rapidly popular option used by influencers and celebrities is buying instagram likes. Since they’re very affordable, this is a very effective method to boost your brand presence. This is one of the best ways to generate leads for your brand. Asking existing target customers to “refer a friend” on Instagram comment sections was the “old way”. But now one can refer a friend by tagging him or her in the comment sections of any Insta Post. So, when any of your follower tags a “friend” of his or her this immediately notifies the person. As a result of this, the person is linked back to your post. Lead Generation Campaign is evolving with each passing moment. For any online marketeer, this actually is a boosting platform to game his market up! Make sure you got your specific target group defined and set to reach out for more probable customers in future.